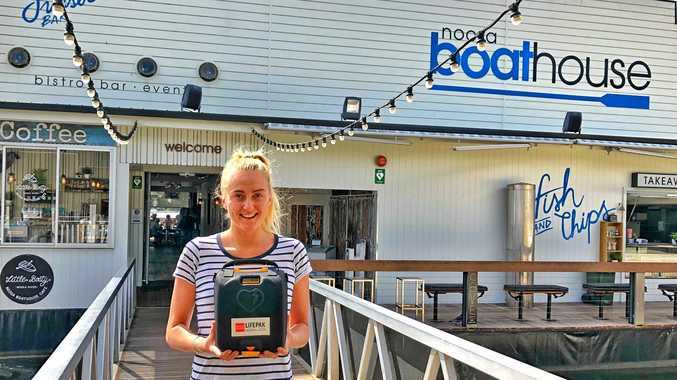 JUST days after a Noosa News story about the potential lifesaving presence of a new community-funded defibrillator installed at the Noosa Boathouse restaurant, the device has brought a man back from the dead. The early morning walker's fight for survival started with the quick actions of a passing jogger who had read the article and knew exactly where to turn for the vital emergency response. He raced to the Noosa Boathouse for help, as other bystanders started resuscitation. It was 6.20am, but Noosa Boathouse barista Renee Gregory who is also a Noosa Heads lifesaver qualified in CPR, was already on the job. That quickly switched from pouring coffees to operating their newly installed defib that had been jointly purchased by the Rotary Club of Noosa and Noosa Boathouse owner Phil Bradford. Ms Gregory quickly hooked the man up to the automatic defib with the monitoring pads and after doing two rounds of compressions, was told by the machine to shock the heart. Such a quick response can increase the chance of survival by 70 per cent. The paramedics were soon on the scene and took over. He was taken to Noosa Hospital and a hospital spokesman confirmed that the man was successfully revived and stabilised before being transferred to Sunshine Coast University Hospital. He said this incident showed the importance of the quick access to defibs. Posted social media comments on the incident from people on scene were full of praise for the actions of the jogger and the barista to help revive the man. "I'm really glad I was able to do something to help the man, and very thankful to have a defibrillator at the Boathouse,” Ms Gregory said. Mr Bradford said this a story highlighted what a difference the timely provision of local lifesaving defibrillators can make. The installation of this AED (automated external defibrillators) an another at T Boats is the result of a campaign by local Lis Blake, who is the mother of ironman great Guy Leech. Mother and son are determined to make this part of their life mission after Leech lost a good training mate to a sudden heart attack. Ms Blake said she was "gobsmacked” and has had goosebumps since told of the the save, but is now determined to have public signage put up increase awareness of their locations. Rotary's Tess Alexandroff said the set of circumstances was quite remarkable. 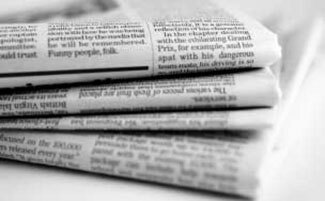 "It's amazing that soon after advising the public that it was available, that this would happen,” Ms Alexandroff said. All involved with these defib deployments are now hoping to see them stored right along the river and across on the Noosa North Shore.